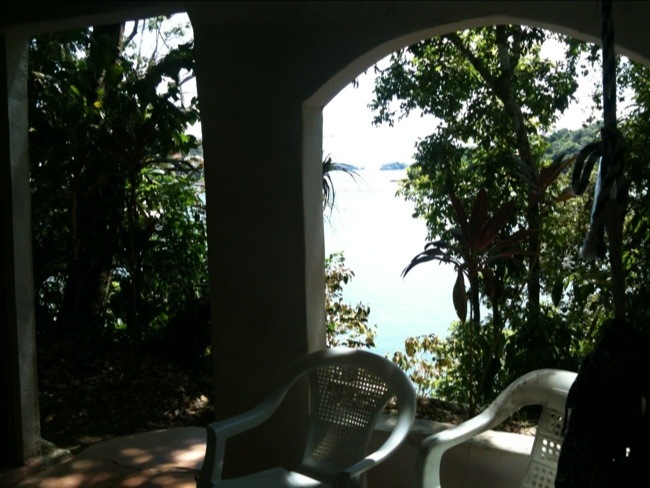 This is the view I get to enjoy from my bed hammock at Hotel Boca Brava. I so-loved sleeping in a hammock at my friend Daniel’s that when I got here and saw this hammock setup I just had to try it. Yes, that is water you see — the warm Pacific Ocean — and yes. Those are islands you see out in the water. Both sides of this room have water views. A view from my hammock bed on Isla Boca Brava. Morning is so beautiful.